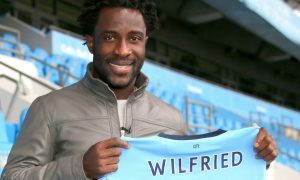 Swansea will attempt to complete a deal to re-sign Wilfried Bony from Manchester City this week by making an improved offer of £13million, the Mirror reports. City rejected an initial offer of £10million from the South Wales club, wanting to recoup at least £13million of the £25million-plus they handed to Swansea for the Ivorian in 2015. Swansea beat Crystal Palace 2-0 yesterday, but have struggled for goals besides that game so far this season, failing to find the net against Manchester United and Southampton, and they hope the return of Bony will add some much needed firepower. Valencia, Olympique Marseille and Spartak Moscow have also shown a willingness to meet City’s £13million asking price for the 28-year-old, but his preference has always been to remain in the Premier League and a move back to Swansea appears likely to happen once they file their improved offer. 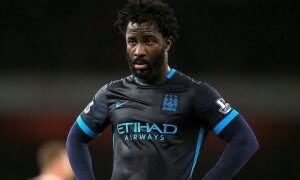 Bony scored 35 goals in 70 appearances in his previous spell at the Liberty Stadium, but his move to the Etihad Stadium didn’t work out and has resulted in just 10 goals in 46 games.